E-Cigarettes: Do they work? Are they safe? E-Cigarettes, personal vaporizers, PVs, or “vapes” were introduced in the US market in 2007. The number of people who are using this electronic nicotine delivery device is growing at such a rate that dental professionals are taking a closer look at the potential health risks, the safety and effectiveness of the smoking method. In 2009, the Food and Drug Administration banned the importation of these devices on the grounds that they are classified as a drug delivery device for therapeutic use. The FDA performed tests for impurities that pose potential health risks. One such impurity, Diethylene glycol used in anti-freeze, was found in some of the e-cigarette devices. Tobacco-specific nitrosamines, a known human carcinogen, were present in half the samples tested. All but one of the device cartridges labeled as containing no nicotine had low levels of nicotine present. Ultimately, the classification of e-cigarettes as therapeutic drug delivery devices was overruled on the grounds that the device is not specifically marketed for therapeutic use, i.e., to help people quit smoking, and therefore is not subject to regulation as a drug delivery device. Currently the devices are subject to regulation under FDA jurisdiction as tobacco products. The regulation of tobacco products is much less stringent than those applied to medical devices. Because e-cigarettes are widely available in convenience stores and on the internet, the FDA states that the safety and efficacy of the device has not been fully tested and warns that no studies have been done to determine if the device is effective as an aid for smoking cessation. The policy of Baylor Tobacco Treatment Services (Texas A&M University Baylor College of Dentistry) is not to recommend the use of the e-cigarette for smoking cessation. However, for individuals who have independently elected to use the e-cigarette for cessation, use is not discouraged. During checkups at 12 Oaks Dental in Austin, you’ll notice we take our time to thoroughly examine your gums. You’ll hear us assign numbers to each tooth; these numbers correspond with markers on special tool we use to measure the pockets in your gums. The measurements are on a scale of 1 to 10 and the lower the number, the tighter and healthier your gums are. Ones and twos are fine, but as the numbers get higher, so does the likelihood of periodontal disease. Gum disease is an infection of the tissues that support your teeth. “Periodontal disease” is the technical name for gum disease. Gingivitis is the mildest form of periodontal disease. Your gums may be red and swollen, and may bleed easily when brushing or flossing. Even a little bleeding is NOT ok, and it’s a sign that you should visit our office in Austin. Periodontitis is more advanced gum disease, developing when gingivitis has not been treated. Bacterial plaque on your teeth irritates your gums and this causes them to start breaking down. According to the National Institutes of Health, smoking is the #1 risk factor for gum disease. In fact, if you use tobacco it makes treatment more difficult. It’s never too late to quit! If you notice any bleeding or sore gums, chronic bad breath, or loose teeth, come see us right away! We will make every effort to save your natural teeth. We can replace lost teeth with dental implants or bridges and dentures, but wouldn’t you rather smile with your own teeth? Healthy teeth and gums are important building blocks for good overall health and well-being as well. That’s why they’re one of our first priorities when you’re here for checkups. If you’re due for a regular visit, or have any questions or concerns, call our Austin dental office at 512.346.5196 today, and protect yourself from gum disease! There is excitement at 12 Oaks Dental because we are sharing in the dental experience for two children who are being hosted from an orphanage in China. The hosting program, New Horizons for Children, helps bring children from China, Latvia and Ukraine for summer and winter hostings. Dr Cronin will be performing their dental examinations, other team members will be assisting with x-rays and their teeth cleanings. This is another opportunity for our dental team to help celebrate giving in the community. Tanya(13) and Barry(12) are being hosted by Linda King‘s, family; Chad, Kodi , Abbie(7) and Will (4) Stephens for the next month. Fun for all because they live next door to Linda and her husband Bob! The children are so precious and grateful. The whole experience is exciting for them! Firsts of many experiences; first to ride in a car, first time to ride in an airplane, the chance to ride a bicycle , etc. In the photo, is their initial greeting at the airport, on the right is the children’s chaperon, Esther(26). She is a delightful young lady who is 4 months pregnant. All are learning more English quickly! Many thanks to Drs Worob and Cronin and the 12 Oaks Team. Submitted by: Linda King, Hygienist. Vacation Dental Emergency? Act Quickly! A dental emergency or pain is always unexpected, but when you’re at or near home, you probably have a general plan for emergency care. What do you do, though, if you’re on vacation and nowhere near our dental office in Austin? Until you find dental care, there are steps you can take to help prevent further trauma and alleviate symptoms and pain. Toothache? Rinse your mouth with warm water, and use dental floss to remove lodged food if possible. If there’s swelling, hold a cold compress to the outside of your mouth or cheek. Chipped/broken tooth? Gently rinse the mouth and any broken pieces with warm water. Knocked out tooth? Retrieve it if possible, hold it by the crown (not the root). If possible, try to replace the tooth. 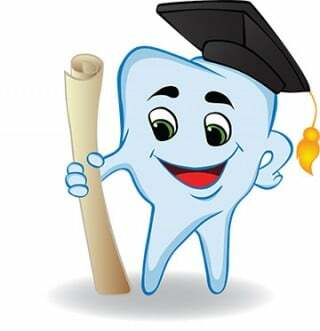 If you can’t, place the tooth in milk or a glass of water with a pinch of table salt. Use these techniques for nearly every dental emergency. Apply oil of cloves with a cotton swab to help alleviate dental pain. And get to a dentist as soon as possible, even if you’re out of town. The sooner your emergency receives restorative dental care, the better your chances are of saving your tooth. Once you return home, schedule an appointment at our dental office in Austin at 512.346.5196 to have the injury examined. It’s important to make sure there’s been no damage to the tooth’s root. If necessary, Dr. Marc Worob may suggest additional treatment such as bonding, crowns or veneers to restore the tooth completely. Let’s Wise Up About Wisdom Teeth, Austin! Wisdom teeth usually come in during our late teens or early 20s. They can cause problems, such as coming in unevenly, partially, or not at all. When this happens, they’re called partial or fully impacted wisdom teeth. Most of the time, the solution is to extract them, and at 12 Oaks Dental in Austin we’re here to make the experience as comfortable and relaxing as possible. In addition to this common knowledge, there are some other interesting facts about wisdom teeth that you might not know. Some regions in the world never develop wisdom teeth, and in other areas, nearly 100% of the people develop their wisdom teeth! Scientists don’t know why although the phenomenon is being studied. Impacted wisdom teeth are an ancient problem. The oldest known impacted wisdom tooth belonged to an unfortunate European woman who lived roughly 15,000 years ago. The most important fact about wisdom teeth is that if you experience any pain or soreness, call our Austin dental office at 512.346.5196 as soon as possible. Even if your wisdom teeth come in without problems, they can be a challenge to care for and prone to cavities. Keeping up with regular dental visits can help us determine if there are any potential problems with your wisdom teeth, and if extractions are necessary. If you’re due for a dental checkup, give us a call today!